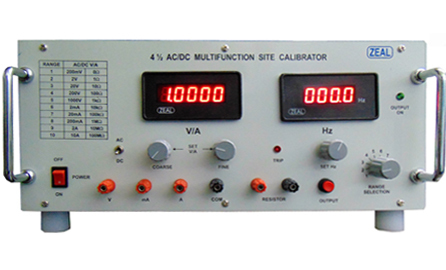 We are Manufacturer, Supplier, Exporter of Multi Function Calibrator / Voltage & Current Standards and we are also specialized in Calibration Services ( Calibrator ). Our setup is situated in Pune, Maharashtra, India. 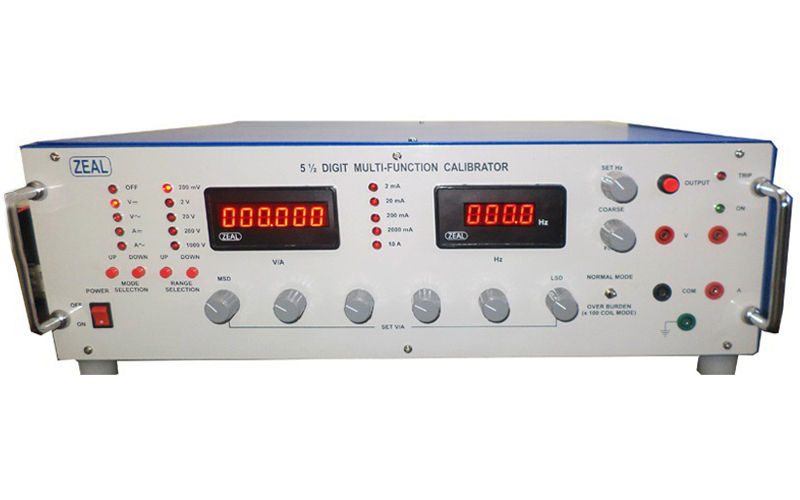 ( Accuracies specified at 25 deg C, RH < 70 %, basic accuracy ±10 digits for DC parameters & basic accuracy ±15 digits for AC parameters. Stability : 200 PPM for DC parameters, 350 PPM for AC Parameters. ( Accuracies specified at 25 deg C, RH < 70%, basic accuracy ±10 digits for DC parameters & basic accuracy ±15 digits for AC parameters. 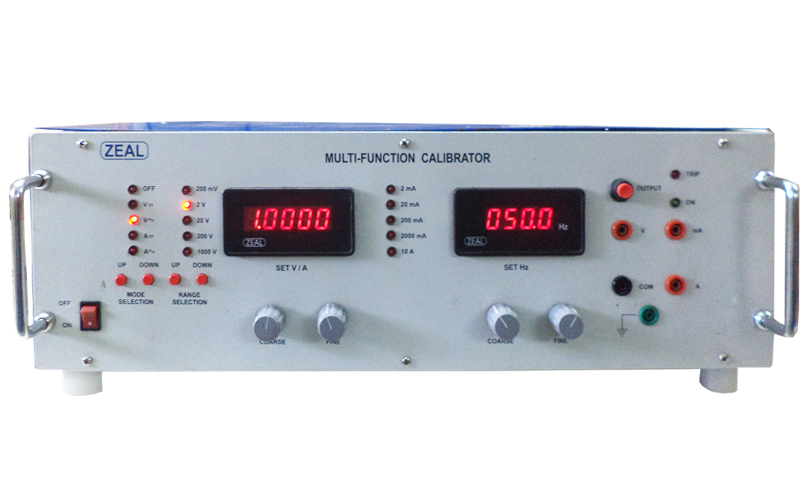 Site Multifunction Calibrator is specially designed to use on site calibration. 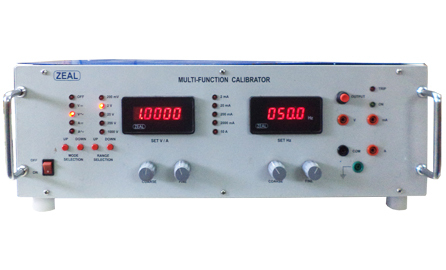 This calibrator is having better accuracy, stability & resolution perfectly suitable to perform on site calibration. 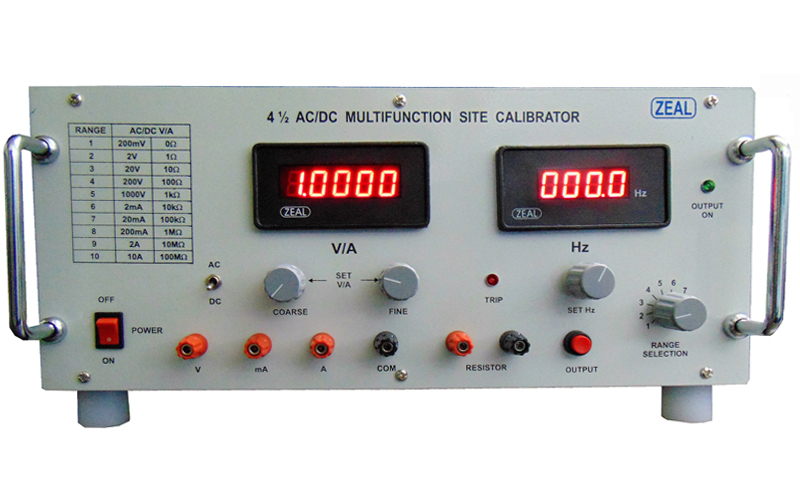 This calibration equipment is a good tool to calibrate analog & digital multimeters, clamp meters, and panel meters. Stability 200 PPM for DC parameters, 350 PPM for AC Parameters.